it’s been a watery summer. it turns me around, the speed at which life goes… and funny how there are pockets of time that seem to linger longer than others. 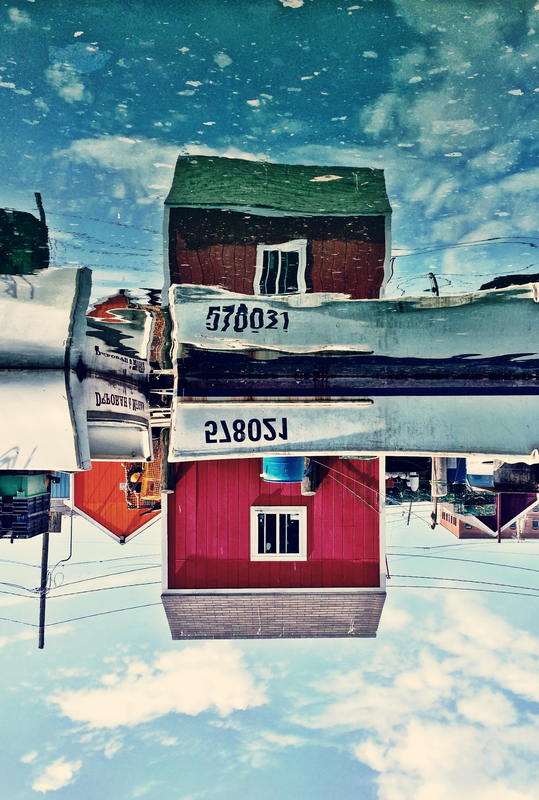 when we are in our boat, time feels simultaneously standing still and somewhat fluid. a boat will do that to you, perhaps. it’s life with a hint of current. just like high tide and low tide, it’s something i’ve grown accustomed to… and it’s something that nourishes me. it’s the slowing down of warped speed. it’s getting in sync with the rhythms of the seasons and the pull of the moon. my photography from our life on the boat is also very nourishing. it’s something i find myself craving in the winter months (and not just because every lick of water is frozen into solid ice) reflections and liquid landscapes are a necessary outlet for me, a creative control to allude to the truth that absolutely nothing is in our control. i guess this is me embracing the crazy. it’s seuessian in what is real and what surreal shift leads to a new perspective. whatever it is, it has a calming effect on me. and so i keep on shooting in this style. for me, it never gets old. 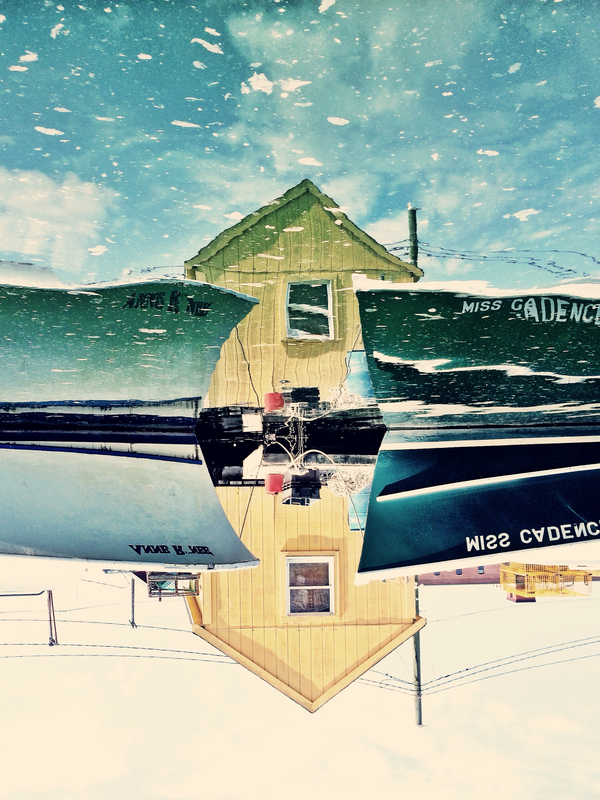 and because one lobster shack is never enough, i left both the reflection and the reality in these images. i see them as dual lives, such as we all live. we are adults and parents. we are individuals and couples. we are the ever changing dichotomy of two selves existing in one body. child and elder. innocent and wise. we float nearly silently through the harbor so as not to disturb the reflective surface of water. 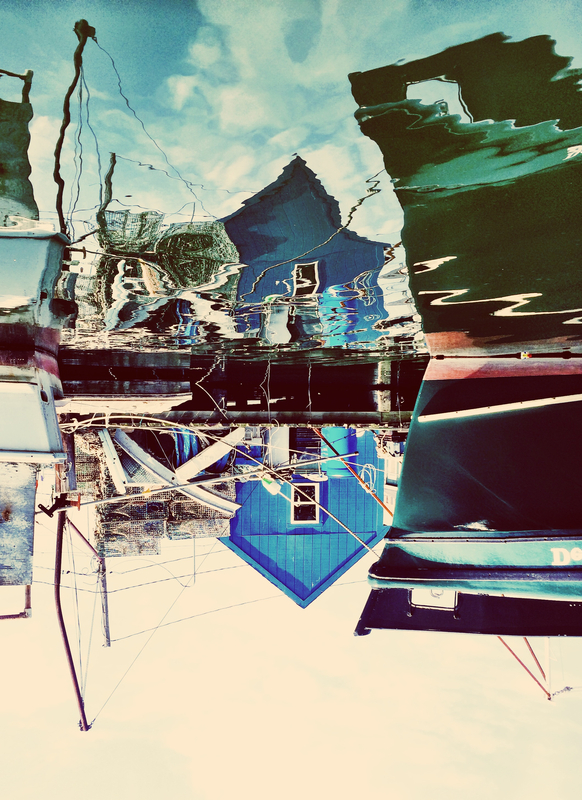 these liquid landscapes are from our favorite backyard water alley in portland. it’s my favorite stretch of water and land, best seen at high tide. it’s a complete sensory experience with fish and chum and mewing alley cats. portland’s working water front is so beautiful. with all its history and all it brings to our every day lives. it’s something i am most grateful to experience.